Larian Studios are known for crafting thoughtful RPG’s. They have created wonderful games in the Divinity series, and the upcoming Divinity: Dragon Commander appears to push the envelope in strategy gaming. 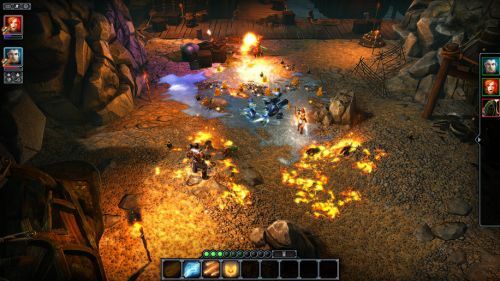 Returning to their roots, Larian has taken a traditional RPG and centered it around the meaningful interactions of players as the cornerstone. This game, which we have been following closely for some time, is Divinity: Original Sin. As a cooperative experience, we have taken a great interest in this title due to the fact that the greatest gaming immersion will come out of playing with another person. 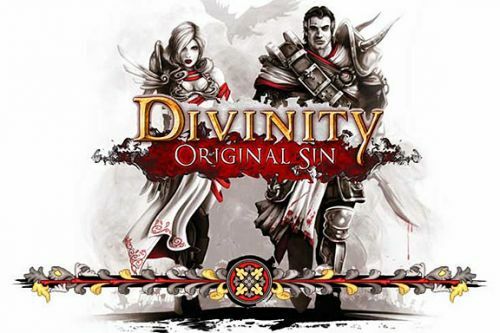 Divinity: Original Sin is an isometric cRPG set in the original Divinity universe. It chronicles the adventures of two characters, a man and a woman, as they travel in search of a great magical power known as “the source.” Thrust into the middle of a war, the two players will have to learn how to wield this awesome power, and take care not to lose themselves in the process. They must also contend with the sins of their past, which may come to haunt them. The game itself is built upon cooperative play. Creators Swen Vincke and David Walgrave wanted to create a game that they could play together. A game where choice and consequences mattered for each player, in the form of combat and in conversations within the game. The dialogue is revolutionary for an RPG and is quite staggering. One of the first interactions I made in the world was with a giant clam. He wanted me to throw him back in the water. As I was pondering his fate, the person controlling the other player came over to me and was suddenly involved in the conversation. I didn’t want to throw him back, yet he did. The dialogue involved choices for both of our characters, and we disagreed to the end about the poor clam's fate. Eventually, a conclusion was drawn in the form of an unseen dice roll. The clam was thrown back into the sea, and he threw out treasure from the depths as a reward. This system of branching dialogue that is dependent upon each player's interaction is paramount in Divinity: Original Sin. If ever there was a game in which you wanted to roleplay, this would be that game. As you flesh out your character in dialogue, a reputation and social status is charted for your actions. Some choices may also be tied directly to stats, such as using strength for intimidation. It is all very reminiscent of the tabletop RPGs of yore, in which you truly become a character. To add to the flavor of dialogue, a keyword system will be used. As you adventure and learn more about the world, you will “learn” keywords that open up even more dialogue choices. In my playtime, I found a book on the ground that lamented the sad story of a man who fell from the cliffs because he heard voices coming from statues. This added the concept of statues to my character’s memory, and I could then quiz NPC’s about the statues. Such interactions are common in the game, and items as well as objects will play an important role in dialogue, further rewarding careful exploration. The world of Divinity: Original Sin is full of items and things to interact with. Virtually everything that wasn’t bolted down to the floor could be used in some way. I dragged items, placed them, and traded them with my companion. Items can also be combined to create more items and weapons. Original Sin takes a a revolutionary approach to cooperative gaming. While the game can be played in single- player mode, where a single person controls both adventurers, it truly shines in co-op. I ventured far off into the hills while my ally explored a town. We were not tied to one another, and we were free to do or own thing. Nothing changed when I got into combat, but the other player decided he wanted to come to help me. Teamwork came into play in a large way in combat. The first thing I noticed about combat is that it was turn-based. Using an initiative system, turns are carried out by using action points from a combination of movement, attacking, or using magic and items. I moved to an enemy, which drained a few actions points, then attacked with the rest of them. On my next turn, I decided to give my fire spell a whirl. To my horror, I aimed the spell incorrectly and ended up setting flame to both myself and our enemies. The person playing with me decided to cast ice on the floor on his turn, and I promptly slipped on it on my turn (yes there is friendly fire). I melted the ice with fire, creating a puddle. Craftily, my ally electrocuted the puddle and made a sizzling trap. After the combat ended, I marveled at all of the different things we had done with the environment and spells. There is true potential here for two players to really plan out strategy, and thanks to the turn-based combat, take the time to plan out moves carefully. It is a system that I have always thought would translate well into a cooperative format, and I can’t wait to play more. The game will be tethered to the first players game world, and the game is really centered around playing through with someone that you will stick with until the end of the adventure. There is an online or LAN option for play, and co-op is drop-in and out. It is a game for you to play with a good friend, or your significant other, just like a good tabletop RPG. It will reward careful planning and persistence. Communication will be handled via Steam Chat, primarily. Perhaps most exciting, the game will be shipping with a robust editor tool that is more or less the editor used by Larian to make their RPGs. There is infinite potential here, and there is even the open possibility of having up to six-player cooperative play. Larian hopes to appeal to the same community that made Neverwinter Nights such a success, and with a powerful editor like this, they should have no problem doing so. While it may seem like I am gushing about the game, I was very impressed with what I got to play. While it was a little rough around the edges, the potential and scope of the game was incredible. It may just fill that cooperative gaming niche that so few games truly reach. 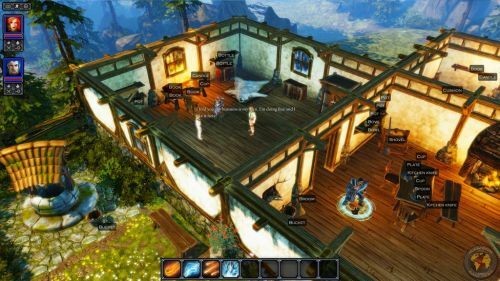 Take a look at the official Kickstarter for Divinity: Original Sin, and stay tuned for more information as it becomes available.